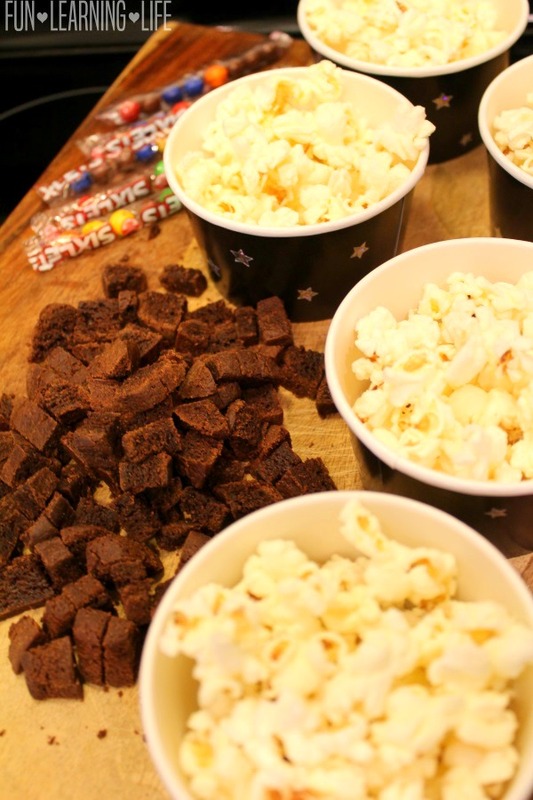 Space Inspired Popcorn Mix and Our Family’s ICE AGE: COLLISION COURSE Movie Weekend! 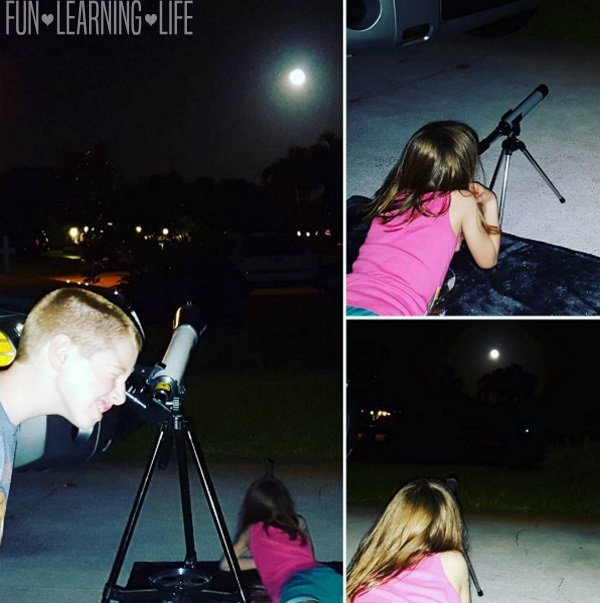 Are your kiddos fascinated by Space? Ever since my husband and I took our family to Kennedy Space Center a few years back, my children have been really interested in the prospect of exploring the Universe. 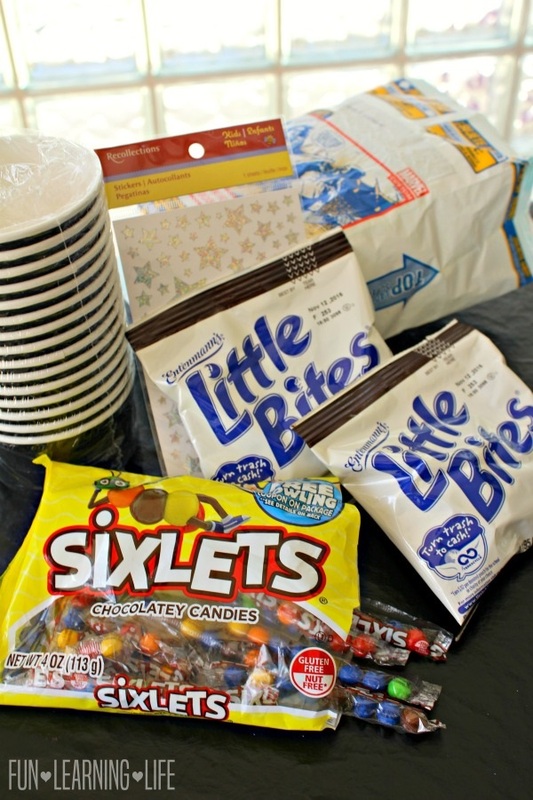 A special thank you goes out to Fox Home Ent Insiders for providing my family with a party kit as well as an Ice Age Collision Course Blu-Ray DVD to host a Family Movie Night! Opinions expressed are mine alone. In fact, my son has been back a couple times to explore the exhibits, and my daughter wants to become a “Dancing” Astronaut. 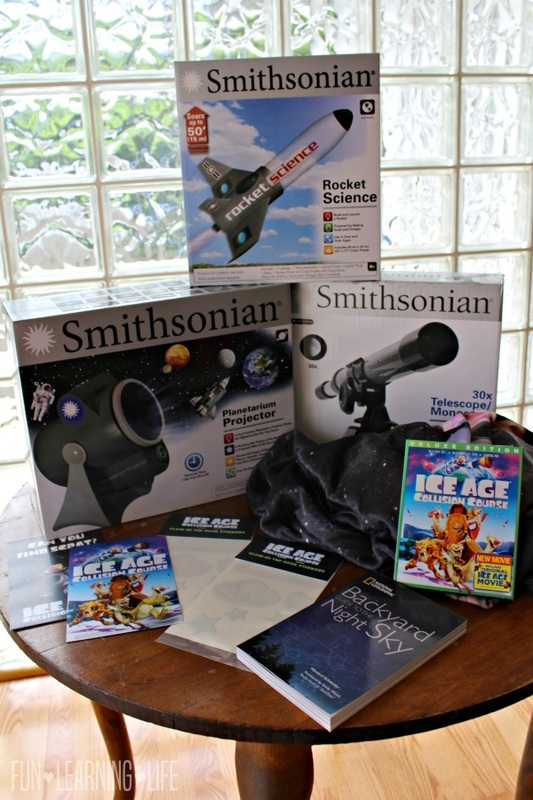 I really love their enthusiasm for science and when I was given the opportunity to Host a Space Themed party inspired by ICE AGE: COLLISION COURSE, I was excited to create treats and activities for my family. Your favorite ICE AGE heroes are back and cooler than ever in this all-new animated adventure that’s mammoth-sized fun for the whole family! Scrat’s epic pursuit of the elusive acorn catapults him into the universe, where he accidentally triggers a series of cosmic events that threaten the Ice Age world. Hosting your own “Out of this World” Party? Here is a fun Scrat in Space Coloring Sheet to print for the kiddos as well! 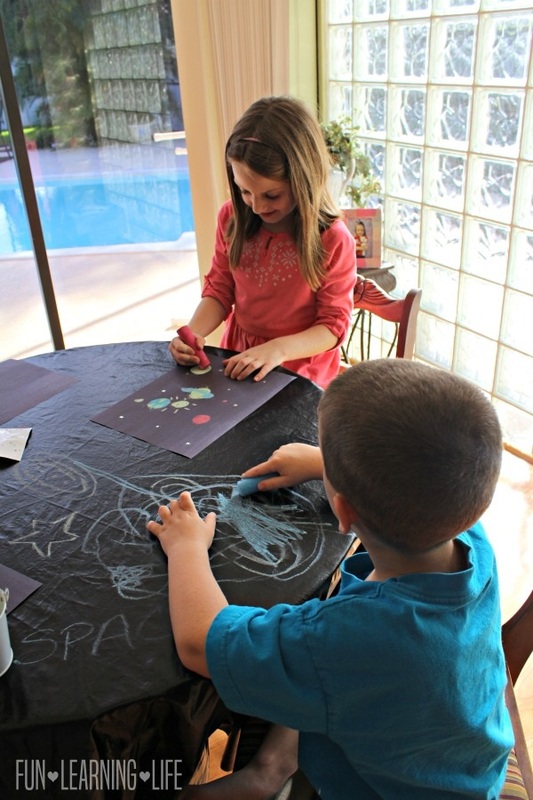 We had so many fun space related activities to entertain the kiddos that we made a weekend of it. 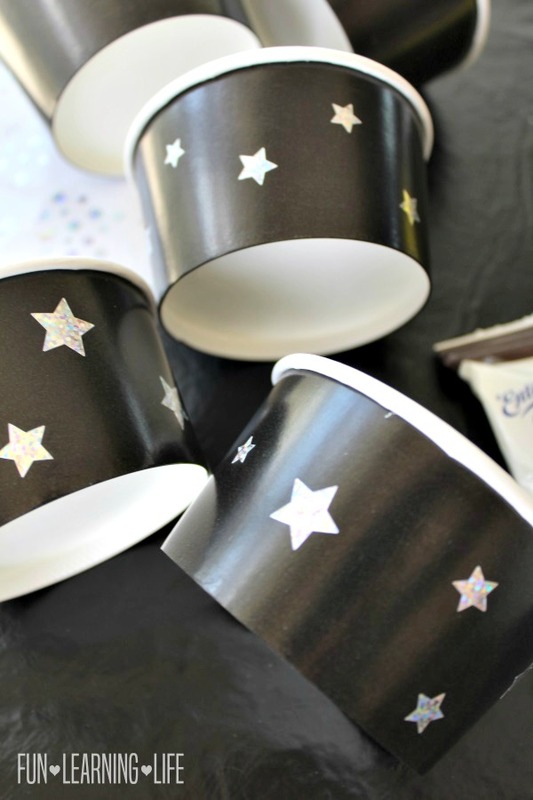 I first started off with making Space Inspired Popcorn Mix and putting it in black treat bowls decorated with star stickers I got from a craft store. Details on how to make the treat are below. 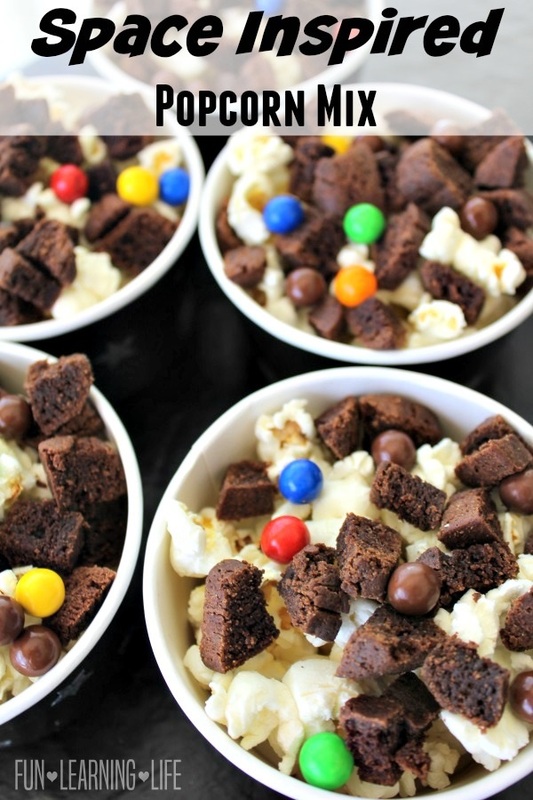 Pop a full size bag of popcorn and then fill up each of the bowls. There will be half of a bag left, that can be used to make another batch. Then cut up the Little Bites to form Asteroids and place those on top as well as the Sixlets to form planets. And speaking of Asteroids, be sure to watch the cool video from Neil deGrasse Tyson – How Do Asteroid Belts Form? 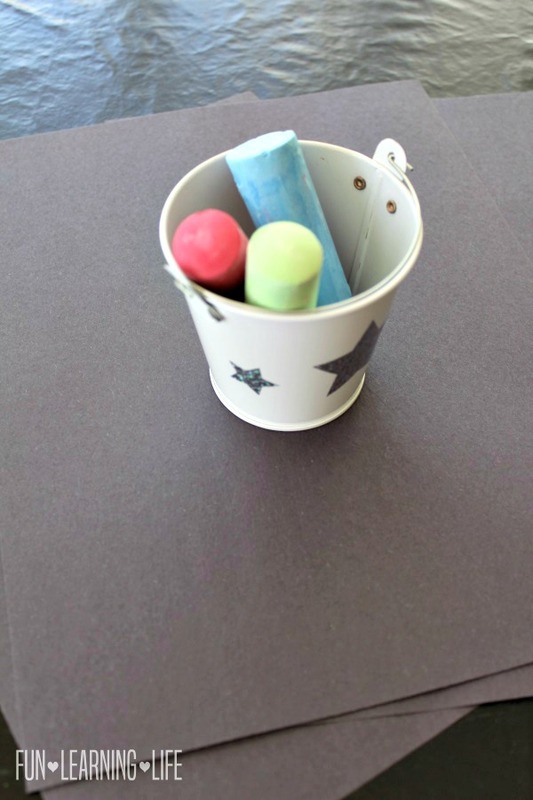 I also set up a craft with Colorful Chalk and Black construction paper. Plus our black table cloth is erasable, so I decorated it with planets and shooting starts. Then it was time to watch the movie. 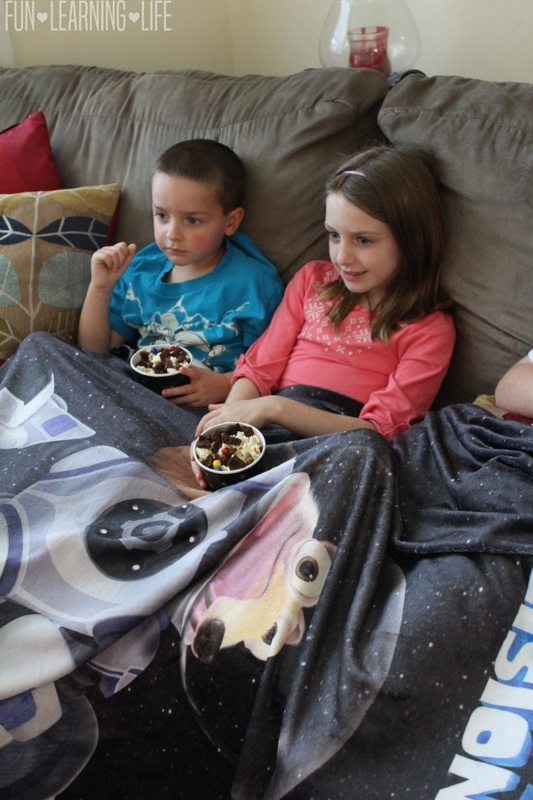 Each grabbed a bowl of the Space Inspired Popcorn Mix and got under an Ice Age Blanket to watch. We have seen the previous films, so the kiddos enjoyed seeing these characters again. Plus, they got to meet new characters including a Yoga loving Llama and a very pretty and Mysterious Sloth (Sid’s love interest). There were plenty of funny antics in ICE AGE: COLLISION COURSE especially with Scrat in Space, and we got to see how a family of Mammoths faced the idea of growing up and possibly growing apart. I saw lots of smiles and all 3 children were interested and very entertained throughout the show. After the film, the kids created their Solar System on the construction paper. We then headed outside to try out the Baking Soda and Vinegar powered Rocket. The kiddos liked watching me fail at this experiment. It was then time to take our adventures into the next 2 evenings with an indoor planetarium, glow in the dark stickers for the ceiling, and a telescope to look at the Hunters Moon. We even brought out our existing Telescope to get a closer look. Are you a fan of the Ice Age Series of Films? Who is your favorite Character or Characters? I hope your family enjoys the Space Inspired Popcorn Mix just as much as my did, and has a great time watching the film. 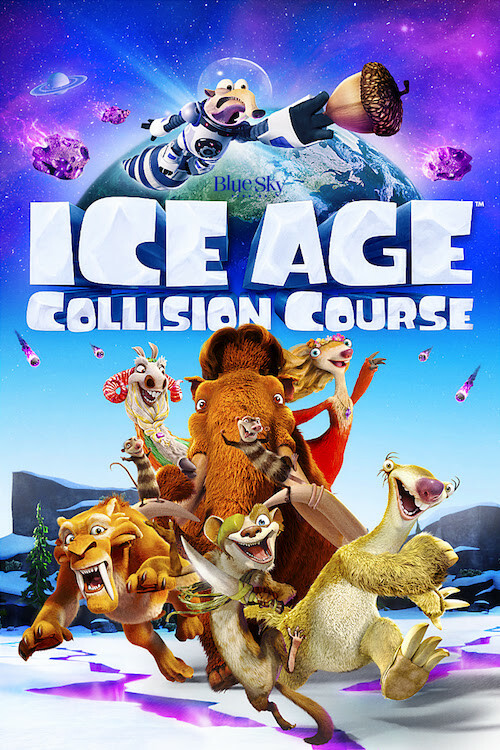 Thanks to Fox Home Ent Insiders, 1 lucky Fun Learning Life reader will win a copy of ICE AGE: COLLISION COURSE Blu-ray™ & DVD, a $39.99 Value! * Participates must be 18 years or older to participate and live in the contiguous United States. Odds are based on the number of entries, and by participating, you agree to these terms and the laws set forth by your individual state. Entries will only be accepted through the Rafflecopter Form, and Fun Learning Life is not responsible for disruption of the page or service which could cause problems with entering. The winner will be contacted through email (make sure you check your spam or junk mail) with the Subject line “ICE AGE: COLLISION COURSE Blu-ray™ & DVD Winner”. Shipping information, including email, phone, and address will be collected at that time. The winner has 48 hours to respond, after that an alternate will be chosen, and so on and so forth. Fun Learning Life does not sell personal information. The prize will be fulfilled by the sponsor. Fun Learning Life does not share information with 3rd parties unless specifically expressed in a specific promotion or giveaway. This giveaway is not associated, nor sponsored by Facebook. ICE AGE: COLLISION COURSE TM & © 2016 Twentieth Century Fox Film Corporation. All Rights Reserved. © 2016 Twentieth Century Fox Home Entertainment LLC. All Rights Reserved. TWENTIETH CENTURY FOX, FOX and associated logos are trademarks of the Twentieth Century Fox Film Corporation and its related entities. 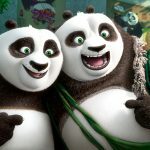 KUNG FU PANDA 3 Awesome Edition on Blu-ray and DVD June 28! Plus Free Printables! I am, I like Manny. I like them all! I don't have a favorite. I love the Ice Age movies! Manny and Ellie are my favorite characters. I am a big fan my favorite character is the Sloth! Yes my family and I are fans. We love manny and peaches. I'm a big fan of 'Granny' (Wanda Sykes.) She always makes me laugh. Sid is funny, too, of course. I am a fan of the Ice Age movies. Scrat is my favorite character. Thanks for the giveaway. I hope that I win. I'm a fan of the Ice Age movies, and Scrat is a favorite character! We live the Ice Age movies! Sig or Manny would be our favorites. I'm always looking for fun ideas for our homeschooling, and this is amazing! I took so many screenshots here. Thank you! I haven't seen any yet but I'm looking forward to seeing them! I love Manny and we love the Ice Age movies! Can't wait to see this one! The movies look cute, but I've never seen one. My kid's finally old enough to enjou them now. Yes, we are a fan of this movie series, and I'm a fan of Diego. I am a fan of the Series. Scrat by far is my favorite character in the show. Sid is my favorite character...he just cracks me up. I like Scrat too. I love the Ice Age movies. My favorite character is Sid. Skrat is my favorite character and then Sid. I haven't seen them, but would love to. Scrat because he is always causing trouble. 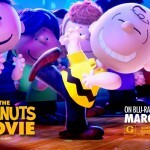 my family love the movie!!!!!!! Sid is my favorite character from the Ice Age movies. He is sweet, and caring and a total dweeb. The movies are always a treat for the whole family. I love the ice age movies. I haven't seen this one yet. I like all the characters but I think Sid is my favorite. I love the Ice Age movies! Manny is my favorite character. I love the Ice Age movies! Sid is my favorite character. I sure am a fan. I like Manny. SID! We LOVE Ice Age! We really like the squirrel character. My son and I both like these movies. My son likes Sid best. My kids love the shows , they are so funny . Sid wins here ! Yes, my family and I have enjoyed all the Ice Age movies. Scrat is my favorite! Ice Age is a favorite in our house, a movie everyone can agree about watching . Manfred would have to be my favorite character. We have enjoyed all of the movies so far, and Scrat wins as the favorite. I have never seen these, but my grandchildren talk about it all the time. My favorite has to be Manny! He is sooooo cute! I love Sid! Iam a big fan of the ICE AGE MOVIES. We are fans of the Ice Age films and are looking forward to this latest film. Manny is my favorite character. It's been great watching the character grow over the course of the film series. Thank you for the chance to win. Our family is a huge fan! My daughter's nickname is Sid from the Ice Age! :) So I would say he is our favorite because he is so goofy! We haven't seen any yet, but we would like to see them, so no favorite characters yet. Manny is my favorite character! We have a bull that I call Manny because of how he moves the same. my kids are really big fans. they love sid! I would take lizzy to see this movie. My favorite character is the squirrel in all of the Ice Age Movies. We love these movies... we love scamp! I have not seen Ice Age, but this sounds cute, definitely would like to win and enjoy with my family. The movies are great...I love Sid. We're big fans of the ice age movie series, our favorite character is Scrat. I'm a fan of the series of movies. My dad loves them as well. Our favorite character is Scrat, lol! Me and my dad love the movies and our favorite character is Scrat! my favorite character is scrat he is adorable. ice age is our favorite. I've always been a fan of all Ice Age movies and i have to say, with all his struggles with acorn, Scrat is still my favorite character! I haven't watched the movies, so I don't have a favorite character yet, but it seems like they'd be interesting. Thanks for the giveaway! I love the Ice Age movies!!! My favorite is scrat!! I love the Ice Age series, but have not had a chance to see the latest movie. My favorite character is Scrat even though he's always in the background. I also love Sid, especially in Dawn of the Dinosaurs with the eggs. We Love Ice Age Movies!!! My kids adore them! 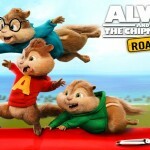 We are a house of huge fans of all the movies and I love scrat so funny! Yes, I've watched all of the previous movies. Scrat is my favorite. I am definitely a fan of the series! I love watching Scrat. Yes, we are fans. The movies are so inspiring. We like Sid. Yes. My favorite character is Sid. We love the Ice Age movies and Scrat is our favorite. I love Ice Age. My favorites are Ellie and Sid. I am a fan. Sid is my favorite. Sid has been my favorite character since the beginning! My nephew would really love to see ICE AGE Collision Course. I would love to watch the DVD with him. Yes, I'm a fan of Ice Age and my favorite character is Sid. I am not but my nephew iis a huge fan! Did is his favorite character!